Let’s be honest. 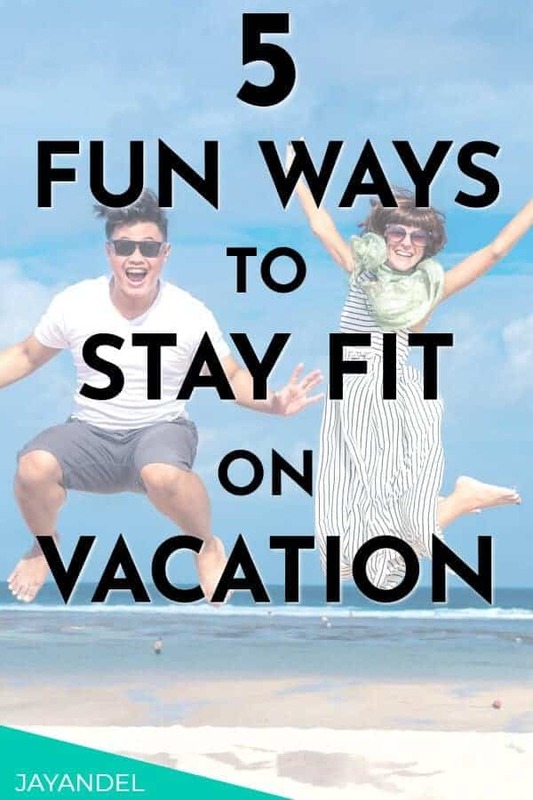 When you go on vacation, how often are you worried about fitting in your workout? Not too often, I’d hope – after all, the whole point of going on vacation is to have a chance to relax. 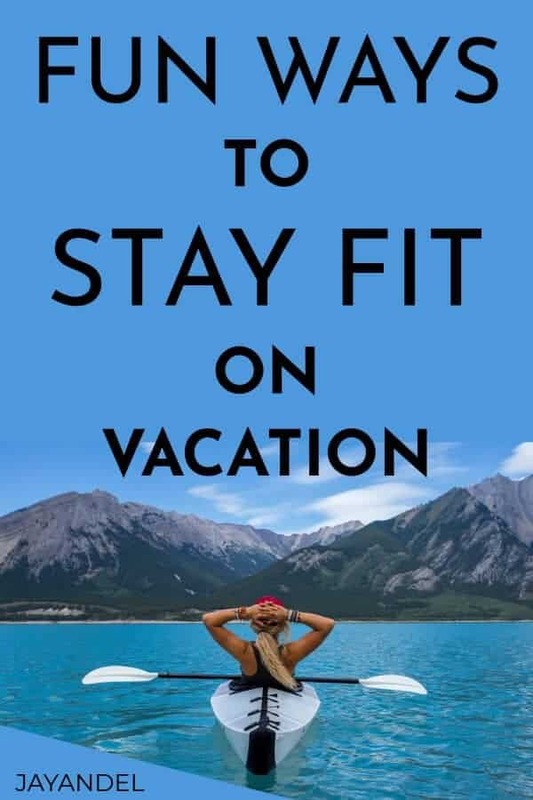 However, if you don’t want to completely let your workout routine slide while traveling, you’ll be glad to know there are plenty of ways to stay in shape and burn a few calories on vacation. You probably won’t even feel like you’re working out. 1| Walk as much as possible. The next time you find yourself in a new city, skip the Uber. Instead, bring a comfortable pair of shoes and see how much of your destination you can explore on foot. Walking through a city can be a great way to really immerse yourself in your destination, as you’ll find yourself in a far better position to experience the sounds, smells and sights it has to offer. 2| Swim some laps in the hotel pool. Many hotels come equipped with fitness facilities. If you’re staying somewhere with a swimming pool, take advantage of it! Avoid the pool during the afternoon and evening hours, when it’s usually a bit more crowded. Instead, head down during the morning and get some cardio in by swimming a few laps. Whether or not swimming is part of your usual workout routine, it’s a great way to burn some calories and get your heart pumping, and it can be a lot more fun than hanging out in the hotel gym. 3| Start your day with a morning jog. If you’re a runner, consider bringing your running shoes along on your next vacation and squeezing in a quick jog during the morning hours. You’ll get your workout in and, much like walking, will have the opportunity to experience your destination more fully. Even if you usually dread your morning run, you might be surprised to see how much fun you have when you’re somewhere exciting and unfamiliar. 4| Get a little adventurous! There are lots of opportunities to push your physical boundaries and break a sweat on vacation, especially if you’re in a location well-suited for outdoor activities. Vacationing in the mountains? Go for a hike, or if it’s snowy, go skiing or sign up for a guided snowshoe tour. If your destination is a bit warmer, rent a bike and take a spin around the area or find something really exciting, like zip lining or white water rafting, to get your energy up. 5| Watch what you eat. When you’re on vacation, it can be easy to throw caution to the wind and indulge a little. While it’s totally fine to splurge on dessert or dig into a supersized breakfast once in a while, it’s surprisingly easy to pack on the pounds, especially if you’re eating all of your meals at restaurants. Keep an eye on your portion sizes, avoid lots of greasy, fried foods, and incorporate fresh fruits and veggies – ideally, ones local to your destination – to feel great and fuel your body. 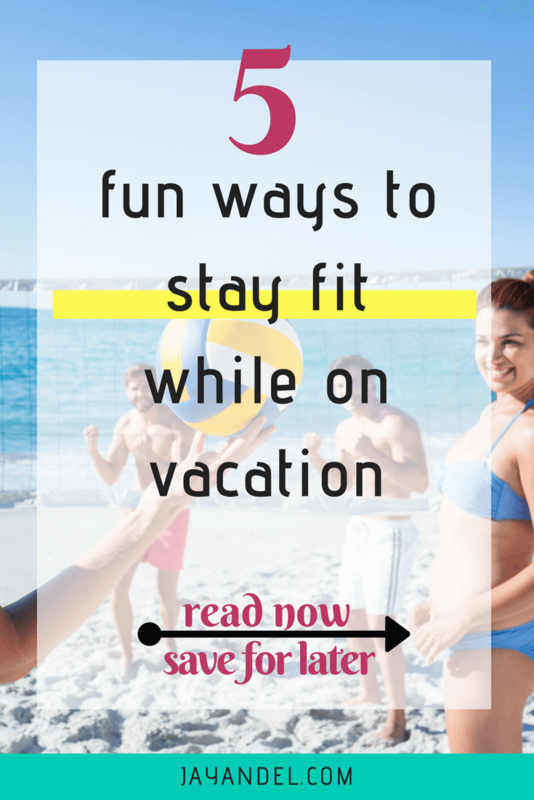 By staying active and watching what you eat, it isn’t hard to have fun and stay fit while on vacation. How do you like to burn calories when you’re traveling? Follow us on PINTEREST for more Health & Fitness Tips!